Salina Police have arrested a Salina man with the help of a K-9 sniffing unit to find the fleeing suspect. Police Capt. Paul Forrester tells KSAL News that police were called to the 100 block of N. Wisconsin in regards to a domestic disturbance on Wednesday at 2:20 p.m.
At the residence, police were told by a 31-year-old female victim that the father of her son had come over to talk about their relationship. The two got in to an argument when the male suspect pushed the victim in the chest, threw a water cooler at her leg which struck her and then he threw the cooler in to a wall causing minor damage. When police arrived, they saw a man matching the description of the suspect at Dauer Truck Center at the corner of Iron Ave. and Ohio St. The man then took off running away from authorities. Police were able to catch up to the suspect in the area of 1115 E. Iron where he again fled on foot. Police pursued the subject to the 1300 block of Stapler when he went in to a vacant residence at 1325 Gypsum. Authorities called on the Kansas Highway Patrol who brought a K-9 unit to search the property where the dog found the suspect hiding. 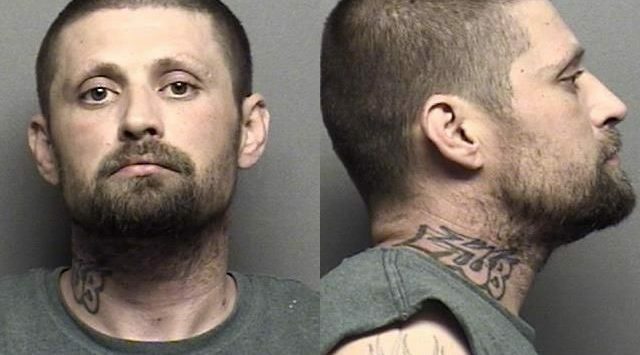 Forrester says that Police arrested 36-year-old Salina man, Kenneth Brown on multiple charges including felony interference with law enforcement, domestic battery, criminal damage to property and burglary. Brown also had an outstanding warrant for failure to appear and probation violation. The damage to the victim’s wall is listed at $30.